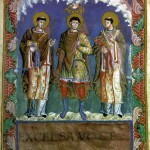 Home » Carolingian Costumes. 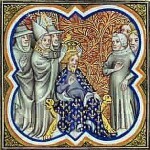 Frankish King, Military Leader, Knight. From this period are hardly get clothes. Conclusions are usually obtained by illumination or sculptures. 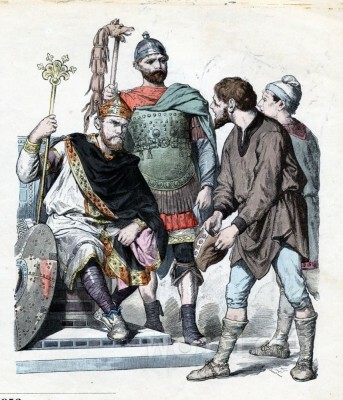 The picture shows a Carolingian king with his sovereign regalia. He wears a crown and holding a stick as a scepter in his hand. 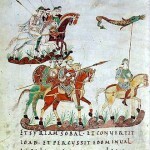 Next to him stands a Carolingian military commander in armor and the commander’s staff. Ahead of them are ordinary citizens. 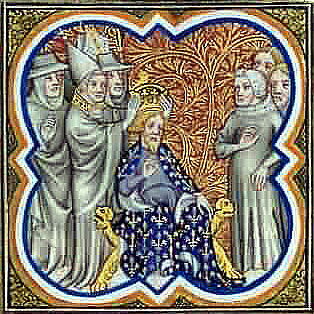 The citizens demand that the king is a require arbitration of a contested matter. 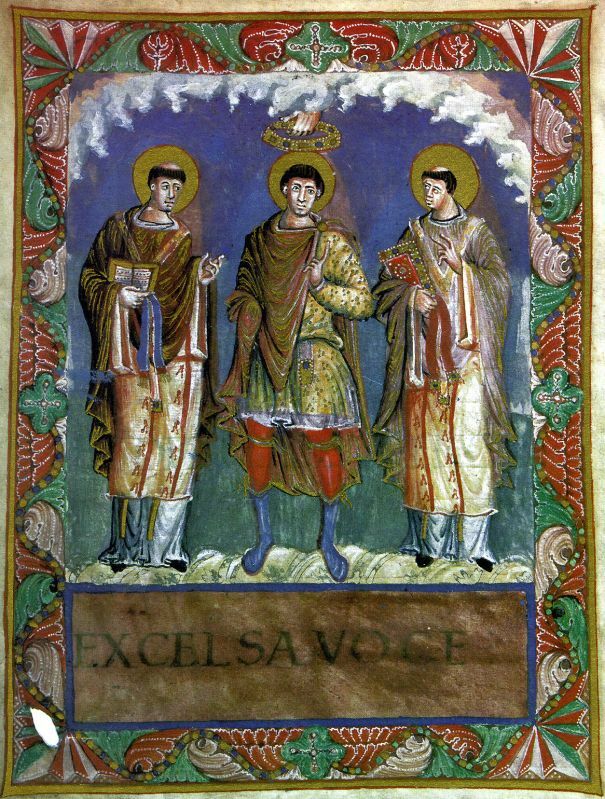 The Carolingian fashion of the nobility is still strongly influenced by the Roman fashion, mixed with Germanic and Byzantine styles. The farmers or citizens wear a simple tunic which is belted at the waist, Germanic trousers (Beinlinge) and boots. Leg warmers (Beinlinge) are a leg garment consisting of two legs, not connected. Leg wear are the predecessors of today’s trousers. It is a type of sock or pair of single legs. The leggings are held by ribbons or straps on a belt. 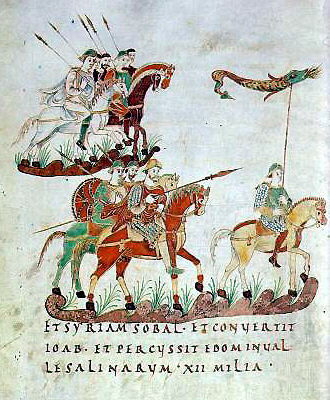 The commander wears armor, a helmet, half-length trousers, a tunic and boots.The king wears the typical Romanic semicircular cloak over a belted tunic. He wears trousers and lacing shoes.